Kristyn is an Occupational Therapist with Sprout! Kristyn attended the University of South Carolina and received a Bachelor of Science degree in Exercise Science. She later attended the University of St. Augustine for Health Sciences where she received a Master of Occupational Therapy. 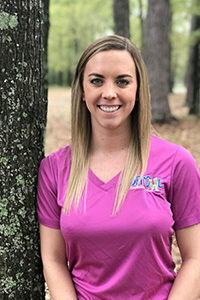 Kristyn is particularly excited about the Modalities and Splinting course she just completed and feels it will help her as she treats children who need casting or additional support before gaining core strength or fine motor skills necessary for various life skills and handwriting.